In a review of a federal district court’s handling of a Florida birth injury lawsuit, the U.S. Court of Appeals for the 11th Circuit wrote the lower court, “Did an admirable job of MacGyvering a solution in this case, and we affirm much of what it did.” The appellate court did reverse a small portion of the Florida medical malpractice birth injury decision, which had been appealed by both sides. F.S. 768.78(2), Florida’s medical malpractice damage statute. Essentially, the court cobbled together a remedy for civil damages in this birth injury lawsuit where the guidelines of both laws weren’t precisely aligned. 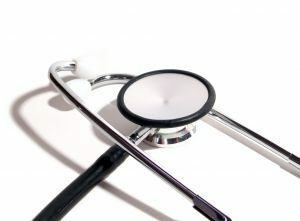 Naples medical malpractice lawyers recognize this underscores the fact that having an attorney well-versed in federal and state law proves crucial time and again in these cases, particularly when the exact remedy isn’t obvious. It’s the injury lawyer who will be trusted by plaintiff to make a strong case for maximum monetary relief and accountability. A child was born at a federally-supported community health center. The birth was a difficult one, and the lower court ruled the OBGYN violated the requisite standard of care, causing the baby to suffer profound brain damage. (This point is not in dispute by either party.) The child’s condition is now one wherein he is in a “near persistent vegetative state,” requiring 24-7 medical care for the rest of his life, with his condition never significantly improving and his life expectancy pinned at around 30 years. The child’s parents filed a lawsuit against the U.S. government under both state and federal laws for medical negligence of the doctor and vicarious liability of the community health center for the doctor’s negligence. After finding the U.S. liable in trial, the district court concluded plaintiffs would suffer an estimated $21 million in future economic damages, with a present money value of $13.8 million. In deciding how those damages would be paid, the court relied on Florida medical malpractice law (which allows either for a lump sum payment reduced to present value or by periodic payments equal to the amount of all future damages before any reduction to present value. In order to effect the latter, Florida law requires defendant to post a bond or other security to ensure full payment of all damages awarded. The U.S. sought to pay future economic damages in period payments rather than in a lump sum. However, it argued that unlike a private party, the U.S. government can’t be subject to continuing obligations under FTCA, requesting instead to pay the entire amount of future economic damages periodically. In the event the child victim died before turning 30, the U.S. sought to remove any remaining funds to be reverted back to the federal government. The court further sought payment of periodic fund from the court’s registry, which wouldn’t require a separate bond. The district court granted the federal government’s request to make a single payment into a trust for periodic reimbursement. However, it denied the request for reversionary interest. The government, however, argued that its offer to pay the total award was contingent on the other request. Plaintiffs asked the court to require the surety bond to secure full payment, a request denied. The government didn’t appeal its liability or the total amount of damages awarded. Rather, it sought grant of its request for reversionary interest should the child die before 30 and reversal of the court’s requirement to pay a lump sum $1 million in future lost earnings capacity damages to plaintiffs from the time the child turns 17.5, with the rest being paid yearly starting when the child turns 20. Plaintiff’s cross-appealed, arguing the court “jerry-rigged” the state’s medical malpractice statute on payment methods to fit the U.S. government’s request. The appellate court ruled the lower court did nothing wrong by trying to piece together a solution in a case involving complex legal issues concerning damages, but chose anyway to reverse certain portions and remand for further proceedings. Namely, the 11th Circuit held the government would be entitled to revisionary interest should the child die before age 30 and also that part of payment could not be demanded paid in full within 30 days (as the trial court had ordered). The case reveals how incredibly complex South Florida medical malpractice lawsuits can be, and again highlights the importance of hiring a skilled medical malpractice lawyer. Contact the Naples medical malpractice attorneys at Halberg & Fogg PLLC., Attorneys at Law, by calling toll-free at 1-877-425-2374. Serving West Palm Beach, Miami, Tampa, Orlando and Fort Myers/ Naples. There is no fee unless you win.